I have recently become enamoured with the blog ‘The Sartorialist’. It is one of the most famous blogs out there and I can see why. The posts are short and simple, always revolving around a single fashion photograph. Although not every featured look is to my taste, it is interesting to see the different styles that people adopt. And the photographs are always beautifully taken. Of course I was wondering what the blog name meant and after some research I came across a video in which the author explains all about it. Apparently ‘sartorial’ means tailored, but it can also mean someone whose look is well put together or someone with great personal style. 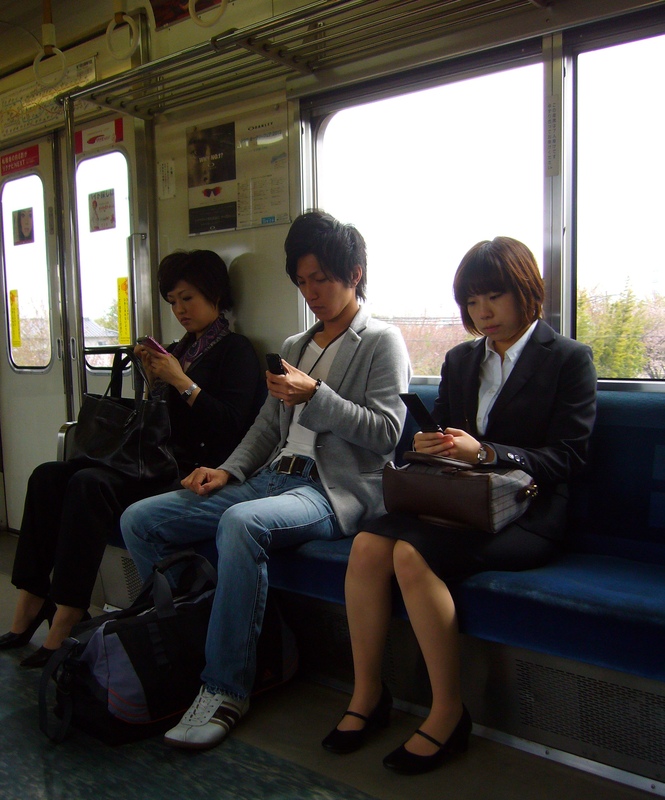 Looking at the man in the picture below (taken on a Japanese train in April of this year) the word ‘sartorial’ comes to mind. Although people might argue about exactly how stylish his big hair and tight jeans really are, at least there can be no discussion about the fact that he has a clearly defined and deliberate look. In any case, I am a fan. It takes guts to wear a tailored jacket made out of sweat pants fabric. This entry was posted in Fashion, Japan and tagged Blogging, Clothing, Fashion, Impressions of daily life, People watching, Train by Haruko-chan. Bookmark the permalink. That is indeed a cool picture. It was taken by blogger Scott Schuman, who is also known as The Sartorialist.